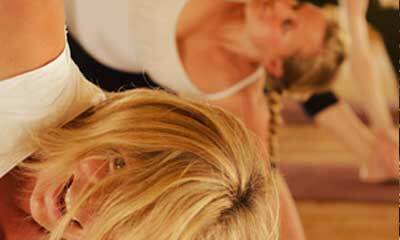 We welcome everyone to the Yoga Shack whether you are a complete beginner or seasoned yogi! When translated from Sanskrit, Yoga means Union – union of body, mind and spirit. Yoga is born from breath and movement. Contrary to popular opinion it consists of much more than just physical practice. Yoga is intertwined with an entire lifestyle, from social, widely known as Karma Yoga, to meditation, diet and proper relaxation. 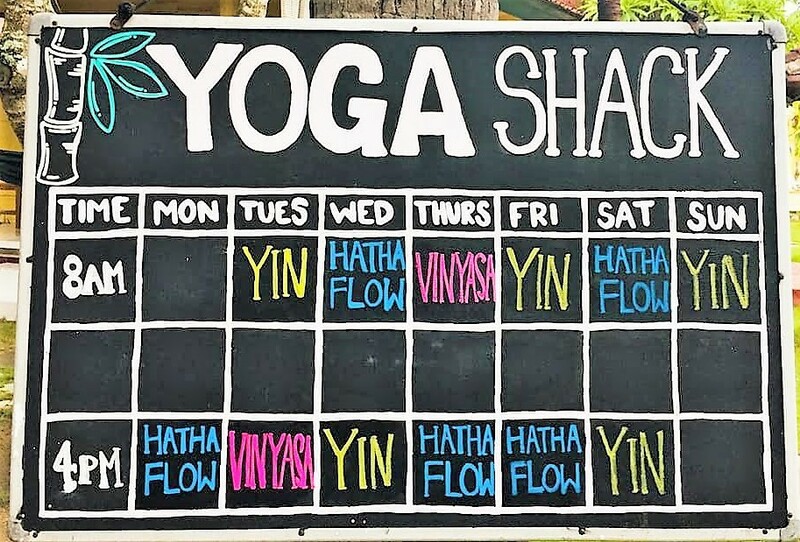 Whilst we are happy to assist with other limbs of yoga, at Yoga Shack Lembongan we offer daily drop in classes in Flow, Vinyasa and Yin Yoga. Join one of our mini workshops with one specific focus or theme (i.e. backbends, inversions, arm balances, chakras). A fun and less structured way to learn about a particular category of postures (asanas) by challenging yourself and exploring the elements of each posture. All our classes are between 1 hour and 1.5 hours unless advertised. Please wear comfortable clothing and remember personal hygiene is important as equipment is shared. It may be a good idea to bring a towel or a sarong. Yoga should be practiced on an empty stomach so please don’t eat within 2 hours of your class. Yin yoga is a very mindful practice that focuses intensely on mind, body and breath connection. The longer durational hold of the asanas, allow the connective tissue, muscles and ligaments to release and restore. The class focuses on physical sensation awareness and targets the deep connective tissue in the hips, pelvis, lower back, shoulders and spine. The gentle practice is suited for all abilities and is especially good for anyone with injuries or alignment issues. Hatha Flow allows beginners to connect with their body through breathing awareness in a meditative flow. This practice uses salutations, postures and conscious breathing to further develop strength, flexibility, awareness and relaxation. Advanced practitioners can find challenges as they venture deeper into their breath awareness and the connection with asanas (postures), as well as finding balance, strength as they mindfully move through the postures. This dynamic flowing practice incorporates Sun Salutations to create heat and energy in the body while synchronizing body movements with the breath. Build strength and coordination as you flow through standing, balance and seated postures as well as back bends, forward bends and inversions. If you are a yoga instructor interested in organising a retreat at Yoga Shack Lembongan or in renting our studio space, we would love to hear from you. Please contact us as early as possible with details of your plans. We are happy to help with all aspects of your trip, including transport from Denpasar airport, accommodation, diving & snorkeling options, as well as island tours and activities. We will personally be on hand throughout your stay with us, to ensure everything runs smoothly and that your yoga Lembongan experience is as inspiring and stress free as possible.